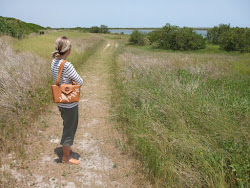 I've been busy working on new designs for my fall/winter collection of handbags. 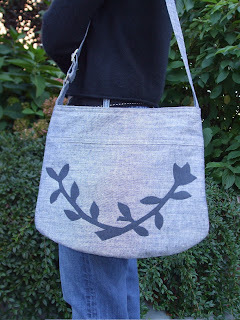 The shoulder bag posted above is made from a hemp/cotton blend fabric in a peppered light blue denim and has a leafed branch applique made from dark blue linen. 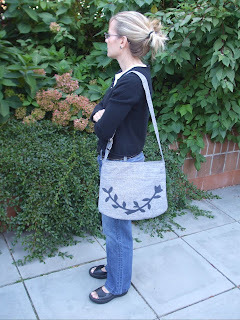 It has an adjustable shoulder strap that I just love! New fabrics in hemp/cotton, hemp/silk, bamboo and even one made from hemp and recycled soda bottles are waiting in my studio to be transformed into new creations. I purchased these fabrics from a lovely shop on Etsy called Infinite Cosmos Hemp. 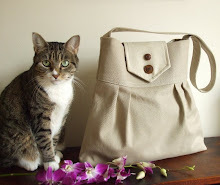 Check out my shop, Pesky Cat Designs, for lots of new handbags coming soon!